In an announcement from Faisal Dropoly, a spokesperson for Oman National Transport Company, as part of their plans to roll out a complete and competent bus network by 2015, announced in a press conference last night that in partnership with Muscat Municipality and the ROP, a dedicated rapid bus lane will be installed between the Al Sahwa Tower r/a near Muscat City Center and the Qurum City Center junction in Qurum. 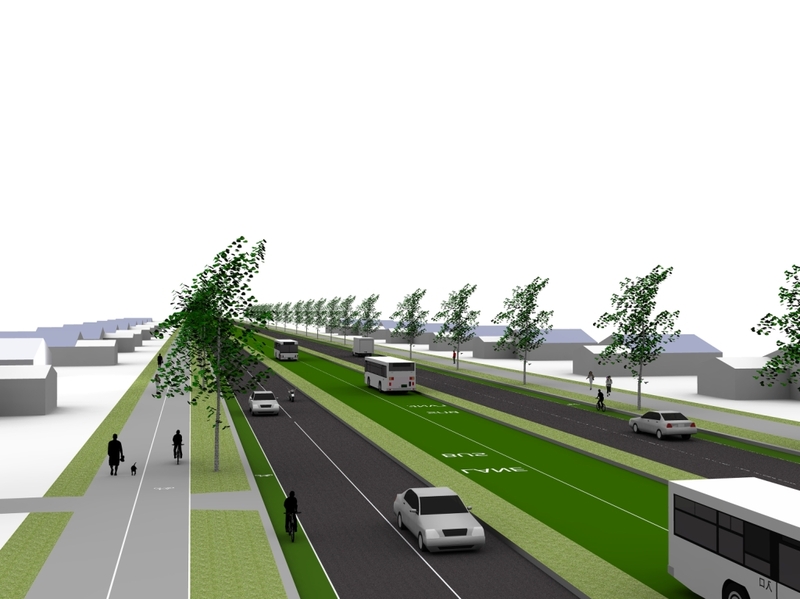 The dedicated bus lane will be installed as part of the Sultan Qaboos Street re-building following changes to account for building the airport, which is already evidenced with work at the Azaiba and Ghubra junctions, as well as a new section running in parallel to the airport. The estimated journey time from end to end in rush hour in the morning will be just 20 minutes and will cost 100bz one way, or a book of 20 tickets will cost RO 1.500. Wow. 20 minutes for that distance in the rush hour in the morning?! Thats amazing. The ROP are involved as part of their drive to reduce traffic related injuries and fatalities - Taxi's will no longer be allowed to pull in on the side of the highway to solicit for fares as this has been highlighted after an extensive research study conducted by the Oman traffic safety awareness committee as a particularly dangerous practice. The announcement did not contain an exact date for when the bus lane would be completed (no surprise there then), but it did indicate that trials would begin before the end of the year. Exciting times indeed. Yeah!!! 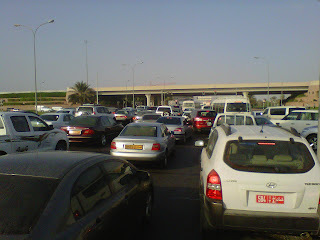 Like Omanis will respect a bus lane!! And taxi drivers not pulling in on the side of the highway!! That wont happen either! And what do you do when you get to Al Qurm? It's not like anything is really safely walking distance from that roundabout. The whole thing seems silly, why not just take the new highway which ends up at that roundabout, you'll avoid traffic that way too. Don't believe that will ever work successfully. The bus lane will be abused and not managed properly. And what a load of rubbish about the police stopping taxis from pulling over on the motorway. This committee is amazing if in 2012 they have only realised that is a massive issue. Who knows, maybe in 2022 they will have realised that maybe they should use qualified driving instructors and a proper Driving Standards system on which to teach and assess learner drivers. Whats your source for this, mate? This will never materialize. Oman needs to pick up pace in public transport to boost tourism facilities. Authorities never realize this and people have this laissez faire attitude that's never gonna help! This is for sure a farce!